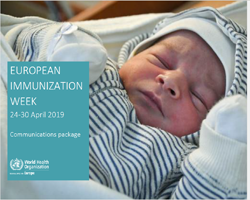 Every year, the WHO European Region marks European Immunization Week (EIW) to promote immunization as vital to preventing diseases and protecting life. 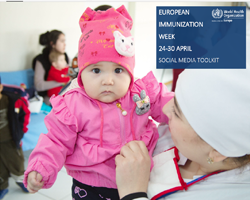 This year, on 24–30 April 2019, the campaign aims to raise awareness of the benefits of vaccines and to celebrate the “vaccine heroes” who contribute in so many ways to protecting lives through vaccination. The widespread use of vaccines has drastically reduced the threat of once-common diseases such as diphtheria, whooping cough and measles in the WHO European Region. 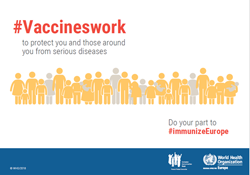 Contributing to this success story are countless individuals – from scientists to parents, from nurses to bloggers – who each play a part in helping to immunize Europe. * Policy-makers create the medical, educational and social systems needed to ensure equitable access to vaccines. 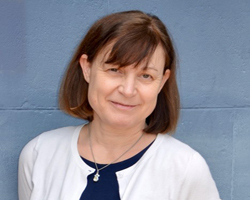 * Health professionals are a trusted source of information about vaccines. 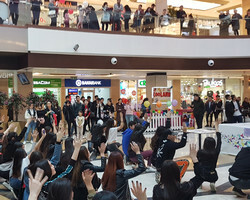 Raising awareness about vaccines saves lives. * Every child deserves to be protected from vaccine-preventable diseases. Every parent plays a vital role in protecting their children and others by choosing to vaccinate.